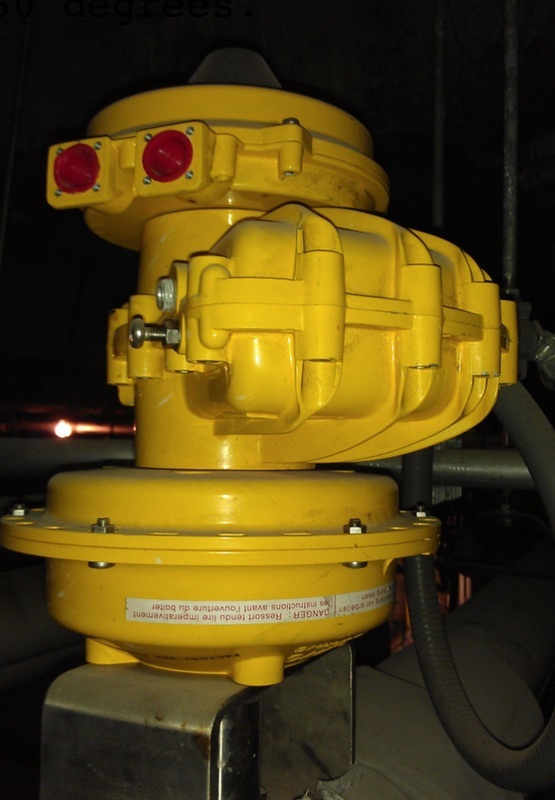 A Kinetrol USA West Coast Distributor worked with a larger commercial bakery that was having failure issues with air to open, fail to close rack and pinion actuators. The Kinetrol vane actuator replacement worked flawlessly. A Kinetrol model 09, fail-safe spring return unit and ULS switch box is mounted to a 3”, 3-way ball valve, used on RBD Soy oil at 120 degrees. The surrounding air temperature is a constant 160 degrees.